Just to give everyone a heads up, the 2015 American Cancer Society’s Breast Cancer Walk is right around the corner. 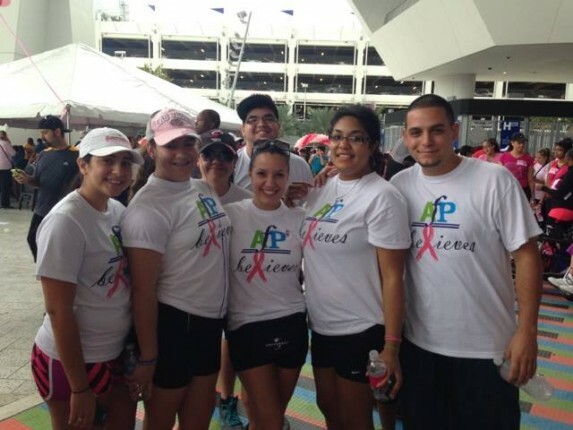 This year, the walk will be held on Saturday, October 3rd, at Marlins Park (Home of the Miami Marlins). This year will mark All Florida Paper’s third year participating in this event as a company. Come out and join us in this long-standing tradition of the American Cancer Society, and join the fight against breast cancer. This year, All Florida Paper will be donating a total of $10,000. Last year’s breast cancer walk was a major success with 63 participants showing up to walk on behalf of All Florida Paper. And this year, we want to break last year’s attendance record. Start Time: Opening Ceremony at 8:00am / Walk Begins at 9:00am.